Now, this is exciting - in the late evening of March 28th, 2019 (GMT) I made my first options trade (s). To get to this point it took me a couple of months and a lot of reading, talking and watching YouTube videos. A huge learning curve and a lot of incomprehensible. Anyway - I just made it, my first options trade - probably really dumb, probably I will lose after all, but I feel very excited that at least I get it through. It means that I wrote (sell) a put option to buy FTR stock (X100) at $2 with expiry on August 16th, 2019. For that, I got paid $0.45 per share. Or $45. Also, I paid in a commission for this trade $2.40. 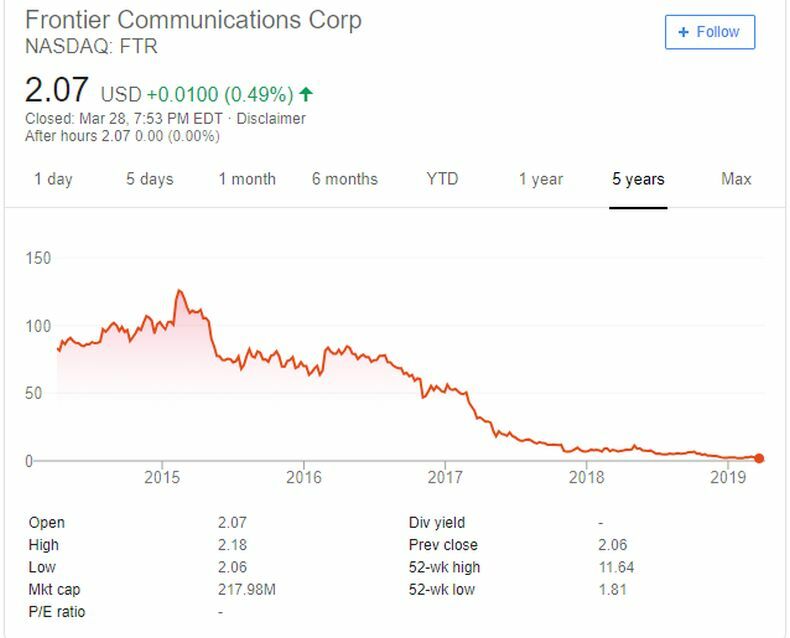 For me, It looks like a 22.5% yield in 142 days or 57.82%/year, now here is the bad news, the FTR stock is doing really bad lately, and there is really huge possibly that stock price will fall below $2 and I will be obligated to buy it. Now as I don't believe in this stock and I'm not looking to hold it long term, I should then quickly sell it off to keep this trade afloat. The good news, the break-even price for this trade is $1.55. If things will go South I hope there will be buyers for this stock. I would like to say special thanks to Massimo, Oddmund and Zaki - for shedding some light on options trading.